Moving is slow in the murky twilight. The setting sun combined with hovering battlefield smoke reduces visibility to a handful of yards. Trigg’s Brigade gains the crest of Horseshoe Ridge, and the 7th Florida makes its way north. 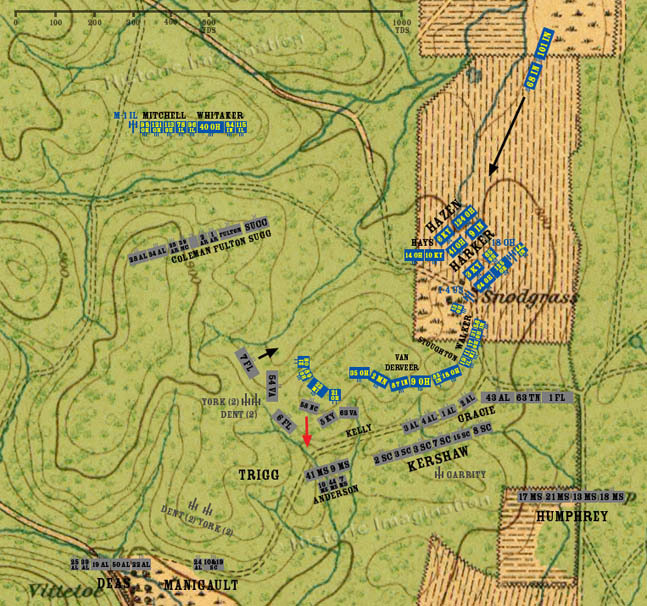 The 58th North Carolina continues up Hill Three until it makes contact with the Union regiments on top of the hill. A close range volley from the Federals sends the 58th back down the hill.